Jon Bon Jovi was interviewed by Scott Shannon about the new album. 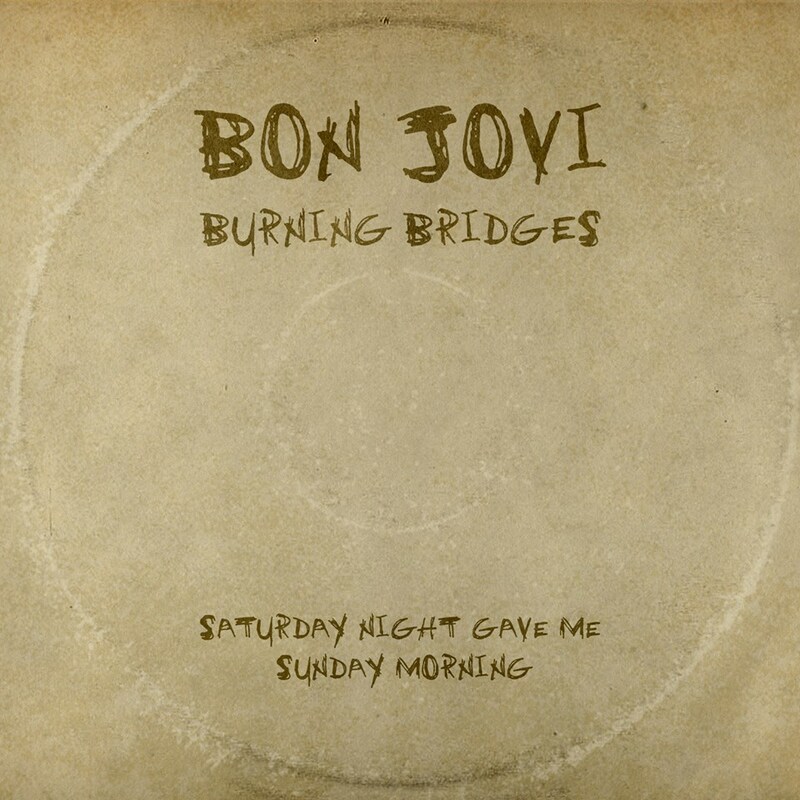 He describes Burning Bridges as a "fan record" made up of unfinished tracks from previous album sessions. It's basically being released to accompany the upcoming Asian tour whilst the 2016 album is finished. Jon is clearly much more excited about the 2016 album and tour cycle than this one. He's also excited about the studio version of Reunion -- the song he wrote for Rutgers graduates and touched on his friendship with Republican Chris Christie (even though he's a notable Democrat supporter). 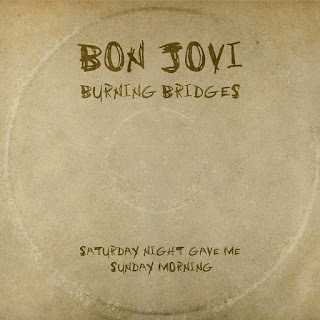 A few days ago I posted about the surprise new Bon Jovi album Burning Bridges, and the first song we heard, Saturday Night Gave Me Sunday Morning. The song was catchy enough, but nothing we hadn't heard several times since 2000. The other new song that Billboard mentioned, We Don't Run, just dropped. And it's different. Listen to it here. What do you think? Not sure when this song was written, but it reminds me a little of Unbreakable (bonus track from Have a Nice Day), Undivided (Bounce), and something else. Here is my attempt to transcribe the lyrics. Feel free to correct me. There's one line in the chorus that is certainly way off, and probably other bits too. Bon Jovi is releasing a special fan album leading up to its overseas fall tour, Billboard has learned. The band is releasing two new tracks not even one month before the Aug. 21 release of their new album, Burning Bridges. 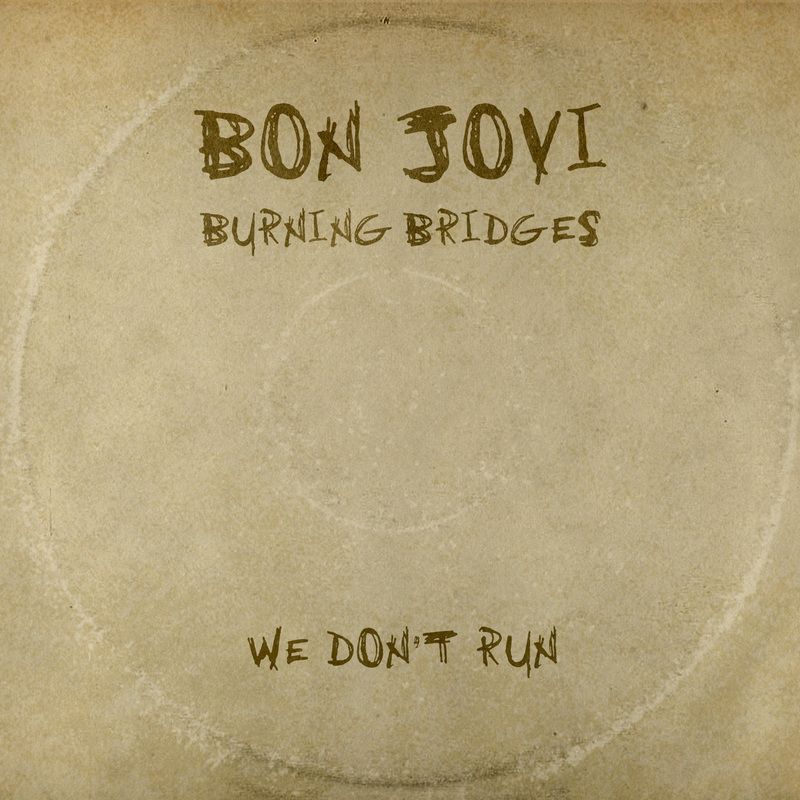 The first track -- “We Don’t Run” -- is written by Jon Bon Jovi and Grammy-winning producer John Shanks. 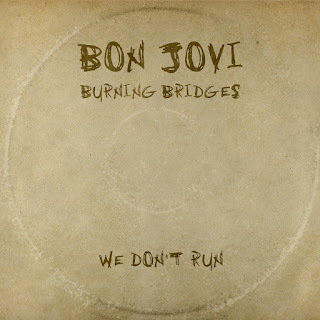 An anthem in the Bon Jovi tradition, the tune features meaty production and a shredding guitar solo by Shanks. Shanks has a long history with the band, having produced What About Now, The Circle, Lost Highway and Have a Nice Day. The second -- "Saturday Night Gave Me Sunday Morning" -- is a happier, more romantic, bright pop song with a hooky chorus featuring the lyrics “Saturday night gave me Sunday morning/ Opened my eyes and it’s a new day dawning/ Think I might have pushed my luck a time or two/ Everything about us is what gets me through.” It's classic Bon Jovi and sure to inspire a big sing-along on the road. Credited to Jon Bon Jovi, John Shanks and former guitarist Richie Sambora, the song -- released internationally on July 16 -- was written previous to Sambora’s departure from the group. While the band's live dates kick off overseas on Sept. 11, fans can catch keyboardist David Bryan in a solo headlining spot Aug. 29 at the Rock the Farm event at Regan's Hollow Farm in Farmingdale, New Jersey. I'm not entirely sure what "a special fan album" means (Outtakes from previous albums?) or why we've heard about it from everyone but an official Bon Jovi channel. And if John Shanks is playing a "shredding guitar solo", then perhaps guitar duties on this album are being shared between JBJ, Shanks and Bobby Bandiera. That's only a guess obviously, but I'm not sure how I feel about that. And if they're including songs that Richie co-wrote, it's likely he also recorded them at the time, so have they re-recorded his guitar parts and backing vocals and/or removed him from the mix? So many questions, so few answers. Phil X is apparently taking this Blackbird Pedalboard with him on the upcoming Bon Jovi Asian tour, though, so presumably he's still the go-to live guitarist for the foreseeable future. Saturday Night Gave Me Sunday Morning premiered on Austrian radio a day ago. Listen to it here. What do you think of the track?